Finally, after a packed Christmas schedule, we’ve hit the road and are heading west to South Australia. 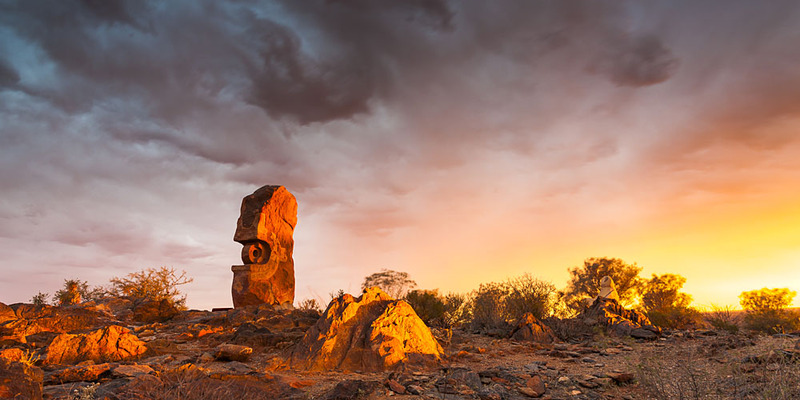 Our route to the festival state will take us on a brief tour through Country and Outback NSW where we’ll visit locations that have been on the bucket list for some time. Our first stop takes in the country town of Parkes. Set amidst rolling farmland, this town is better known for its giant radio telescope. 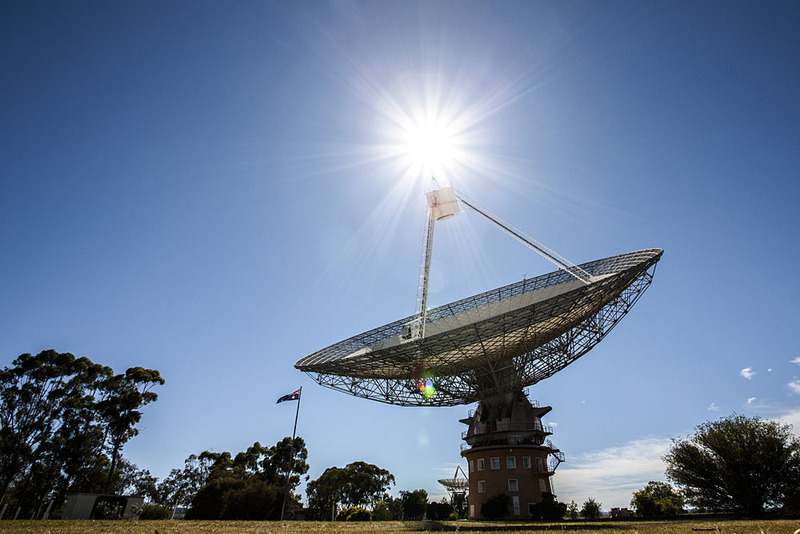 ‘The Dish’, as it’s otherwise known, is a 64-m diameter parabolic dish used by the CSIRO for radio astronomy. Built in 1961 it featured in the first moon landing, relaying television pictures to a waiting world. The telescope functions both day and night but is probably best viewed under a starry sky. Here you can see the constellation of Orion (top left of image). 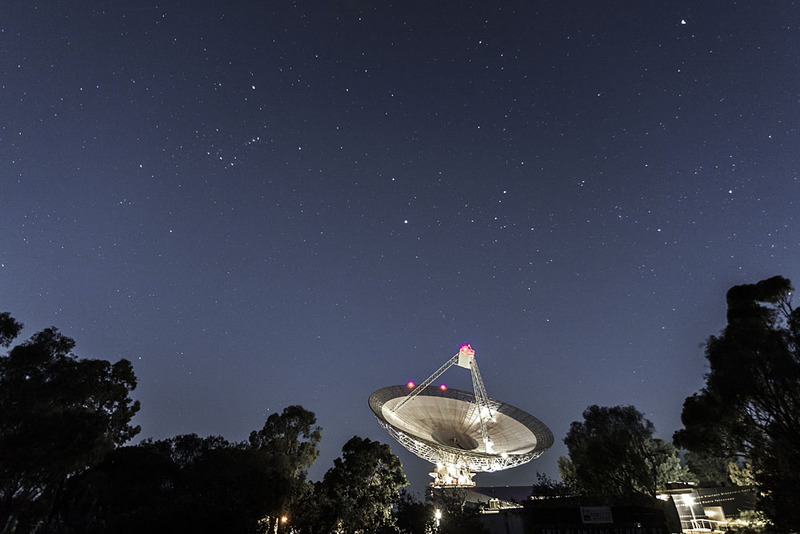 A view of the CSIRO radio telescope in Parkes NSW. You can see the constellation of Orion in the top left. I can highly recommend the visitors centre which has some great displays to help understand what the dish is all about; there was also plenty to keep the kids amused. You can get a great view of the telescope from the visitors centre. The surrounding farmlands also make for great photographic interest. Tree and Farmland. Parkes, NSW. 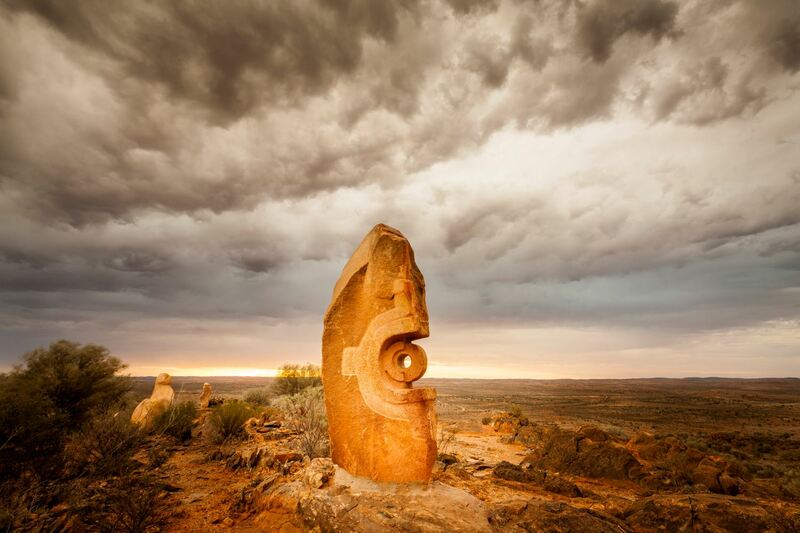 Heading further into the outback our next location is situated about 100km south east of Broken Hill. 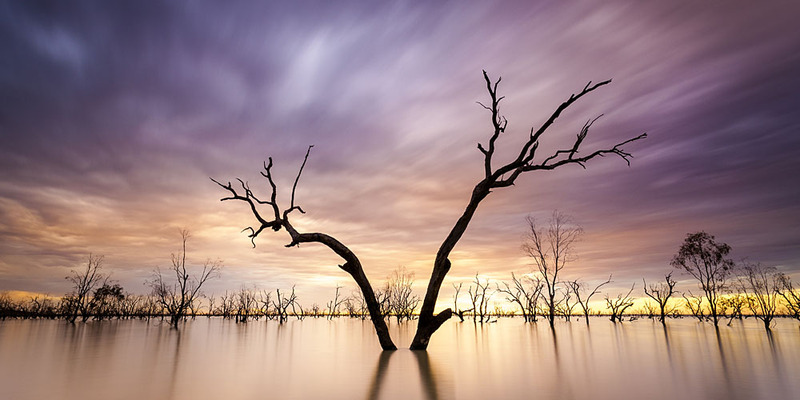 Menindee Lakes form a chain of shallow ephemeral lakes connected to the Darling River providing the region’s largest freshwater storage system. A submerged forest at the lake’s edge makes for a vivid and unfamiliar landscape. I waded into the shallow lake to get the best perspective of the trees. Any excuse to get wet on a sweltering 45 degree day! The parched and barren landscape of Broken Hill is our final destination before reaching South Australia. One place not to miss whilst in Silver City is the living desert sculptures. Started some 20 years back, the installation was the brainchild of Gosford-based sculptor, Lawrence Beck. ‘Under the Jaguar Sun’ by Antonio Nava Tirado. My favourite of the many beautiful sculptures has to be Antonio Nava Tirado’s sculpture titled ‘Bajo El Sol Jaguar’ which translates to ‘Under the Jaguar Sun’. Antonio is an Aztec Indian from Mexico City, Mexico. The best time to visit the symposium has to be at sunset. With 360 degree views from this prominent hill location it’s bound to be a brilliant end to your day. All of my pictures of Country and Outback New South Wales are available to buy as high quality photographic prints or on Canvas, I also have many framing options available. 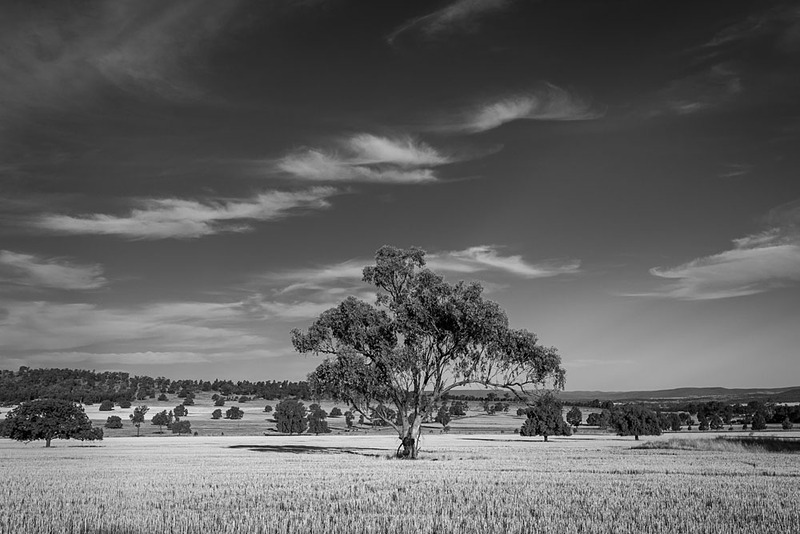 See Pictures of Country and Outback New South Wales for print and framing options. For enquires about image licensing and corporate purchases of my pictures of Country and Outback New South Wales call Richard on 0410191288.